Looking for a whimsical BB on anger management? Want to passively reinforce basic coping strategies in an approachable, lighthearted way? This download is for you! 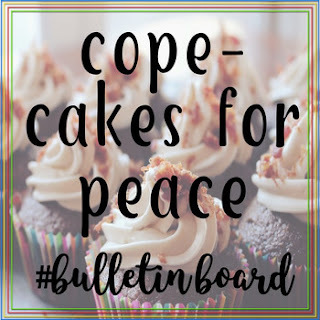 "Cope-cakes for Peace: Anger Management BB" includes all the printables necessary for a fun, meaningful BB. All you will need are a printer, colorful paper and/or large envelopes, scissors, a stapler, and about 30 minutes. Looking for more ways to help your scholars grow their coping and self-regulation skills? Check out my 15 minute classroom guidance lesson, the Coping Skills Web! Want to make your hard earned money go further? Remember to leave feedback for paid products to earn TPT Credits!